Did you know that Japan has had a bullet train since 1961? I kid you not. Eight years before America sent a man to the moon. Two years before the British Invasion. In Europe, high-speed rail started during the International Transport Fair in Munich in June 1965, when DB Class 103 hauled a total of 347 demonstration trains at 200 km/h (124 mph) between Munich and Augsburg. Nearly six years ago to the day (April 16, 2009), President Obama proposed a plan to fight the economic crisis with a focus on infrastructure. He proposed high-speed rail. It would create jobs, fight gridlock, save lives on the highway, oh, and cut down on our oil dependency. So, what’s happened since then? Good question. I was ten and I lived in California when I conceived the idea: a capsule that travels at high speeds and takes you anywhere. Sure, I had a lot of space-age ideas, too, but this was grounded in real possibility. Or so it seemed. (And apparently it wasn’t really as innovative as I thought way back in 1982.) 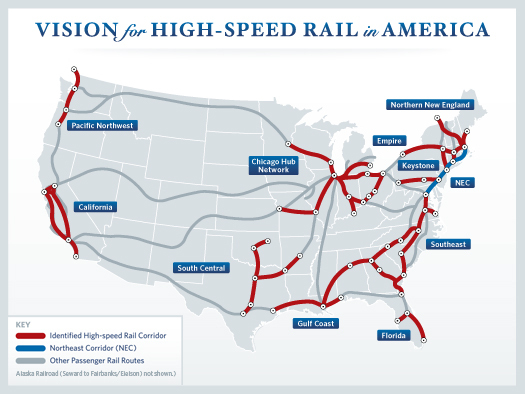 Because here we stand–the U.S. of A. in 2015 (some 33 years later), without a single high-speed rail line. What are we missing? Where does one begin? Maximum commercial speed is about 300 km/h (186 mph) for the majority of national high speed railways (Japan, China, Taiwan, France, Germany, Spain, Italy, UK). The Shanghai Maglev Train reaches 431 km/h (268 mph). What would it be like to travel from Chattanooga to Atlanta in thirty minutes, all while sipping a cup of joe and composing a blog post? Pick your cities. Cut your travel time by 25-75%. Relax and thank your lucky stars that you’re alive and traveling in the 21st century. Currently, California is attempting to resurrect this transformative idea but for some reason it continues to meet with a surprising amount of resistance and political footballing. You can believe the hype that the project is a bag of “lemons,” and that the costs have been wildly overestimated. However, it seems, as so many other issues related to the American economy, that we’re stuck by the powerful vested interest of the oil companies who have created a “think tank” to spread the word that high-speed rail would lead to “bigger government” and mismanagement and who knows what other obfuscation. 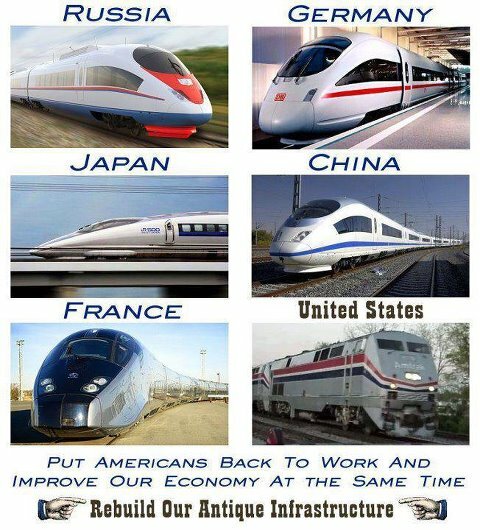 Let’s get some high-speed rail in the land of freedom and innovation!